Currently, LawDepot only offers LLC Articles of Organization (AKA Certificate of Formation) in Texas. Different states have different rules and regulations. 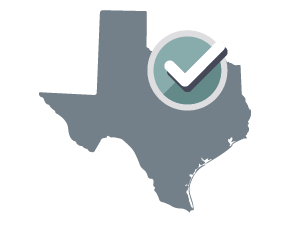 Your LLC Articles of Organization (Texas) will be customized for Texas. What is a Limited Liability Company (LLC)?A limited liability company (LLC) is a type of business that enjoys the beneficial features of both a partnership and a corporation. It is similar to a corporation where the liability of individual members (owners) is limited to what each member has invested in the business. In addition, an LLC can be structured to be taxed only at one level, similar to a partnership.How do I create an LLC?A limited liability company must be registered in the relevant jurisdiction. This is accomplished by preparing and filing your articles of organization with the Secretary of State in your jurisdiction (state). The articles of organization must conform with the reporting requirements of the jurisdiction. The limited liability company will NOT have managers. The company will be governed by its members, and the name and address of each initial member are set forth below. The purpose for which the company is formed is for the transaction of any and all lawful purposes for which a limited liability company may be organized under the Texas Business Organizations Code. The Company is perpetual until dissolution. This document becomes effective when the document is filed by the secretary of state. The undersigned affirms that the person designated as registered agent has consented to the appointment. The undersigned signs this document subject to the penalties imposed by law for the submission of a materially false or fraudulent instrument and certifies under penalty of perjury that the undersigned is authorized to execute the filing instrument.